We're thankful you've chosen to get CEUs from us throughout the year. 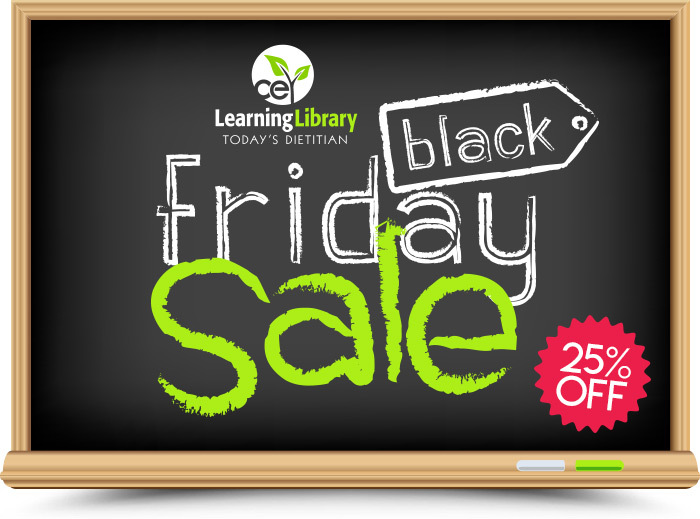 In the spirit of the season, we'd like to show our appreciation with a Black Friday CE special that saves you 25% OFF any self-study course or recorded webinar in our Learning Library. Now through Black Friday, November 23, place the courses or webinars you want in your cart and use coupon code BFRIDAY25 at checkout to get your discount. Thank you for your continued support of our continuing education program. Offer expires on Friday, 11/23/18 at 11:59 PM EST.